A lot of fans jumped ship during the first half of the season because it didn’t grab their attention. Too much focus on random stories, too little connection to the characters, etc etc, whatever excuse they gave it was basically just that they were unwilling to believe. 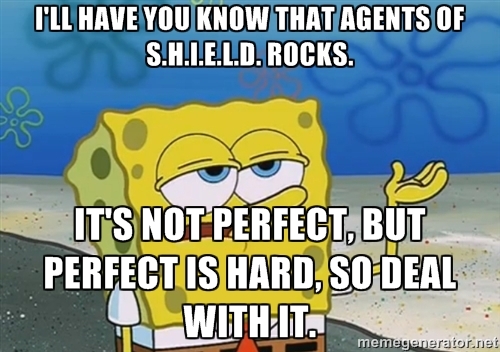 What’s funny is that since the finale aired, many of those naysayers have come back and marathoned the rest of the episodes and discovered what the diehards knew- Agents of S.H.I.E.L.D. rocked! Once you’ve seen the series through once, go back and watch again. Catch the clues that were dropped from the first episode. Just as an example, in the 4th episode “Eye Spy”, Ward walks into a room and stares at a wall which is covered with the same alien script that Coulson writes on a wall in the final scene of the season. It’s all connected. Yes, there was a lot of development that occurred in the first part of the season. Yes, it was slow. Yes, it was hard to stay with it sometimes. But you know what made it OK? Clark Gregg. The Fitz-Simmons relationship. May & Ward having to develop and show humanity. All the little hat tips to the MCU. And honestly, the fun of fandom. If you are one of the ones who gave up on the show… give it another go. 85% chance you’ll love it. That other 15%… well, those people can’t let the rest of us have nice things. Could go into the Ward topic but… we’ve done that before. Not that it isn’t a wonderful topic. 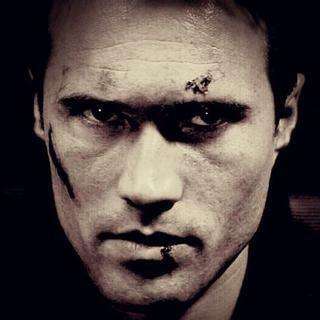 And Brett Dalton is delightful. But let’s hold off on more Ward loving until we know where he stands now… *cough* Hail Hydra *cough*. 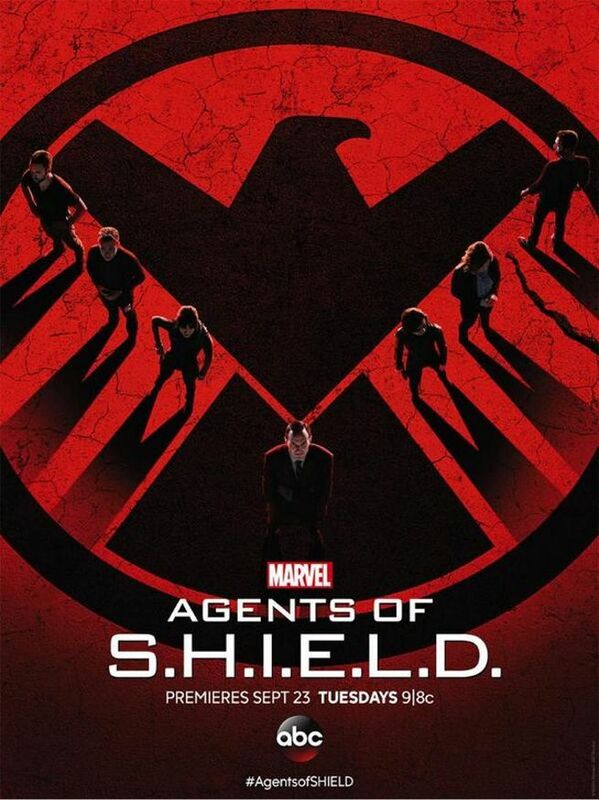 Another fabulous piece of Agents of S.H.I.E.L.D. 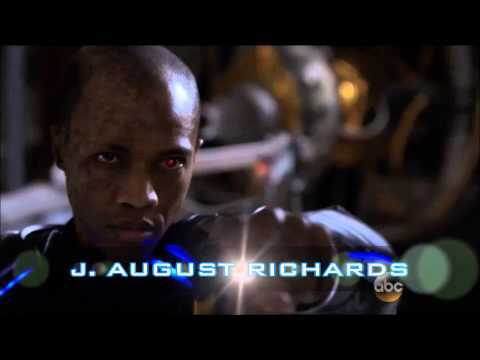 season 1 that we love- J. August Richards as Mike Peterson/Deathlok. Love that a new generation of fans can see how awesome he is as an actor. And the beauty of the character was that he came in and out of the show instead of becoming the focus. It allowed his development to feel more natural, rather than forced. Here’s hoping he’ll be back in season 2! A recent guest post laid out questions for season 2… let’s hope the energy of season 1 can continue into the new world created at the end of season 1!